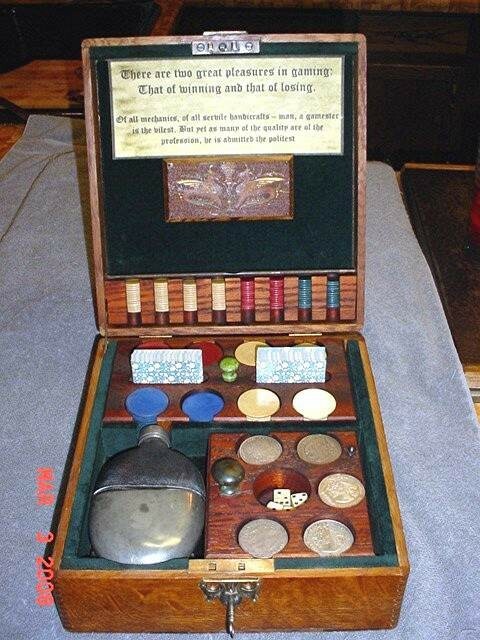 19th Century Old West genuine historical Gamblers personal Travelling Gambler's Box. Chips, dice, cards, flask, Silver dollars and gun in a hidden compartment. Serious Collectors call 406 270-2842 or email Extremely Rare Please email cowboyron@cowboycabin.com with questions or call 406 270-2842.